How Much Does it Cost to Import? 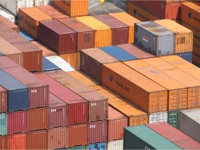 Compliance resources for DDTC controlled exports. No sign-up, no fees. Try it now! How Much Does it Cost to Import? Importers are expected to pay an import tax on virtually every item they import. But how much do you have to pay? Import tax (also known as an import duty or import tariff) is collected by US Customs on every import that comes into the US. Import tariffs are the second largest source of revenue next to the IRS.